The Germanische Nationalmuseum (GNM), Nuremberg, together with the Entwicklungszentrum Röntgentechnik (EZRT) of the Fraunhofer Institut für Integrierte Schaltungen, Erlangen, developed recommendations for the three-dimensional computed tomography (3D-CT) of musical instruments in a research project called MUSICES (MUSical Instrument-Computed tomography Examination-Standard). The project, which ran from 2014-2017, was funded by the German research funding association DFG. The project is presented here as a case study, as it makes an important contribution to expanding the documentation of museum objects, which, like musical instruments, are characterized by a great variety of forms, materials, sizes and composition, by adding an additional perspective on the objects and at the same time ensuring a link with existing standards such as LIDO and MIMO. In addition to the purely technological perspective, a completely different perspective plays a role here. This concerns the role of musical instruments as part of museum collections. The main tasks of a museum include collecting, preserving, researching and communicating. How this tasks can be realized with musical instruments as collection objects is a question that can easily trigger a debate in which two different points of view come into play. Musical instruments are or were sound-generating objects and the question of whether an instrument may be played in the interest of research or communication/education or not for conservation or scientific reasons is not only a question of the stance one advocates, but also of the possibilities of examining an instrument for its suitability for performing. 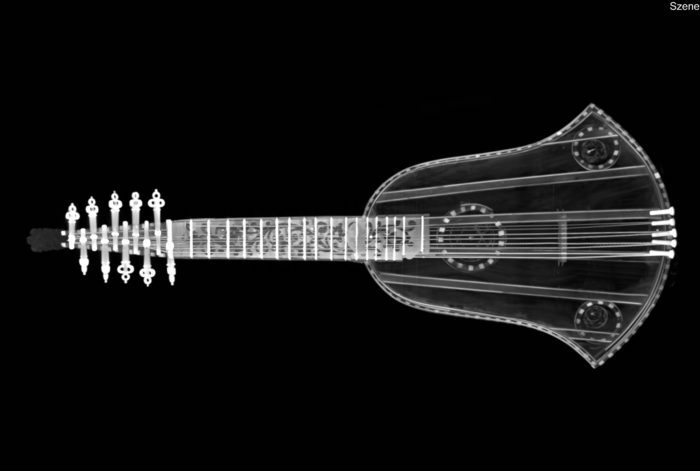 A device-independent description of technical parameters for 3D-CT imaging of various materials, object sizes and material combinations in musical instruments. Description of open formats for the long-term archiving of high-resolution master scans. Description of open formats for derivatives, for presentation on the web and the dissemination as open access. Definition of minimum resolutions of 3D-CT scans for different types of instruments depending on size, material and potential applications. Definition of details to be scanned more precisely for different types of instruments, particularly for larger instruments, when it is not useful or feasible to make a high-resolution total scan. Definition of the necessary metadata for 3D-CT scans, compatible with LIDO and MIMO-LIDO respectively and with the ISO standard CIDOC-CRM (ISO 21127:2006). Integration of the metadata and the generated 3D-CT scans into MIMO. Transfer to EUROPEANA via harvesting. A standard paper to be at DFG’s disposal and supplementing the MIMO digitalisation standard. A best-practice paper according to the MIMO digitisation standard. The inner structure of a musical instrument becomes visible, which is either hidden to the eye or not accessible from the outside by conventional methods. This is of interest, because for most musical instruments, the inner structure contributes significantly to the coloration and amplification of the sound. This may even provide information about constructional details that point to specific construction methods of certain instrument makers. Accurate measurements of its internal structure, which in most cases is difficult or impossible to access without running a high risk of damaging the object. Important construction details can be acquired by applying any cutting planes to the 3D model and taking multi-dimensional measurements in the range of at least 0.1 mm. Due to the different density of the material, the different materials used for the construction can be determined. The grey level values in a reconstructed CT data set represent the attenuation coefficient of the corresponding material. There is a linear relation between density and attenuation coefficient for materials with similar chemical composition. Dendrochronological investigations of scanned wood structures based on the identification and counting of tree rings. The conservational condition of an object: the 3D-CT image not only provides a comprehensive documentation of the conservation condition of the musical instrument, it also allows the identification of previous restoration measures as well as damage and irregularities in the material that are not visible from the outside. Finally the project addresses the advantages and disadvantages of different CT methods. The following table summarizes the advantages and disadvantages of both methods: the medical computer tomography and the industrial computer tomography. In general medical CT can be used for qualitative research on smaller objects composed of parts of lower density, e.g. wooden objects without metal parts. 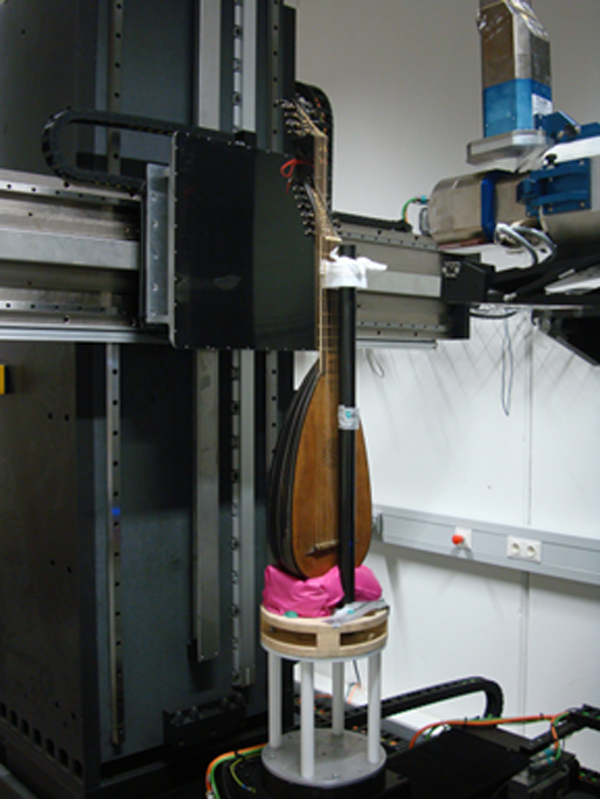 Industrial CT is the choice for musical instruments with higher density materials, e.g. brass instruments, or combined materials, and for large size objects. If, for quantitative research, precise measuring is important, industrial CT should be chosen regardless of the kind of object. 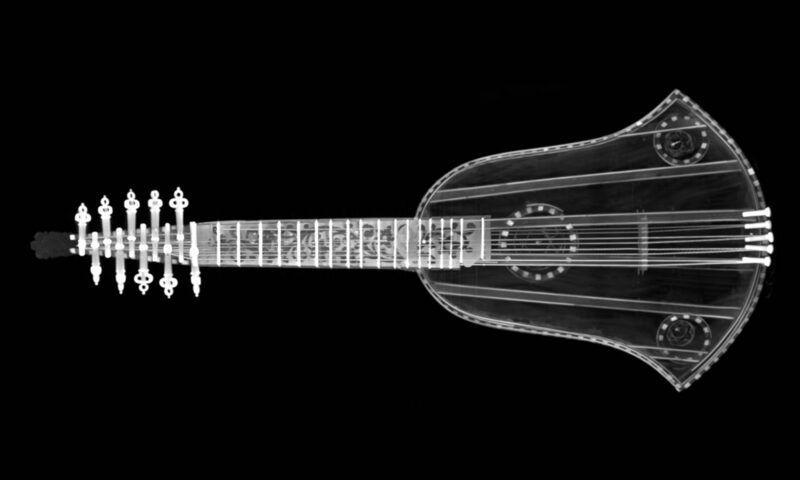 Computed tomography (CT) is a non-destructive examination method that facilitates insight into musical instruments that could not be gained by other means without disassembling the object or risking to damaging it. While the widespread medical CT reaches only a limited spatial resolution and is suitable for qualitative examinations, industrial CT allows for spatial resolutions that permit geometrical measurements or even specialised examination methods such as dendrochronology. The large variety of sizes, forms and – due to elaborate decorations and metallic keys or nails present in wooden instruments – materials poses various challenges to CT scans. These have to be addressed by the selection of appropriate CT parameters, scan procedures and data and image processing algorithms to obtain a good image quality in the reconstructed volume data set. Approved options documented for the examinations of 105 different instruments can facilitate the parametrisation and further processing of future scans of similar instruments. They were also used to develop recommendations for instrument types not scanned so far. 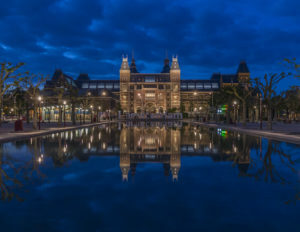 Furthermore, as the relevant physical processes are the same, these recommendations can be applied to other cultural heritage items, such as panel paintings or clocks, too. This reduces the need for extensive trial and error experiments and thus saves time and costs.